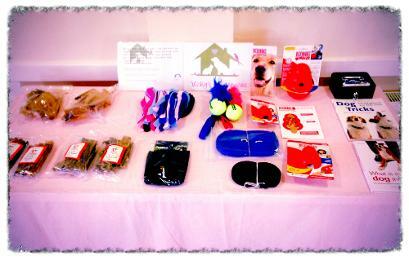 Our 6 week course designed for beginners of all ages- from young dogs to veterans! 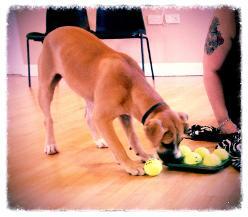 We pride ourselves in our training course with a twist, hence the name; 'Fun' Obedience! 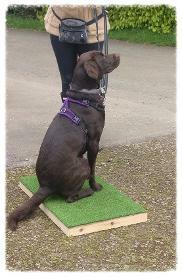 Our Fun Obedience course is designed for beginner/novice dogs of all ages. Suitable for newly acquired rescue dogs, older puppies who have received no training or simply to re-kindle and improve a better doggie-human relationship! We welcome all the family to join in and come along! Week 1 of the course is an information week for humans only where we will start to help you understand your dog better, which as a result makes training them easier! Dogs join us once their owners are fully prepared from week 2. 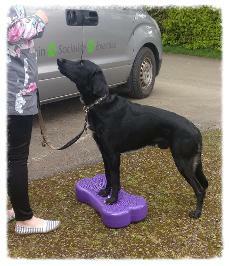 Basic obedience exercises such as; poistions (Sit & Down), how to walk on a loose lead, recall, wait, keeping paws on the floor, take food gently. 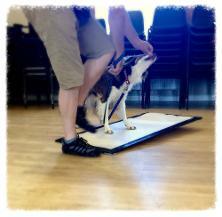 To help Increase confidence and body awareness by introducing new equipment to put paws on. 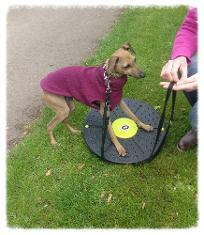 Invaluable training aids available to buy. All of the family are encouraged to attend to maintain consistency in training. We cover all aspects of the vital relationship with your best pal & encouraging much more of 'hands-off' approach; from basic control to the really fun stuff we love! How many dogs will be in our class? 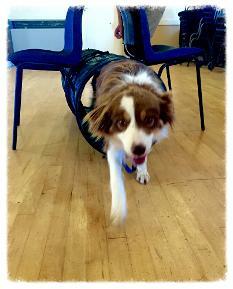 Our Fun Obedience courses accommodate a maximum of 6 dogs per course to ensure more individual attention, and to give each dog enough distance from each other to feel comfortable in our training room. There are 2 fully qualified tutors per class to ensure plenty of one-to-one attention. 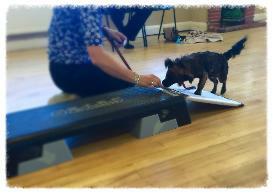 Fun Obedience courses are taught by Vicky & Emma at a choice of 2 locations on Tuesday evenings at 6:00pm and Wednesday evenings at 7:00pm. Click here for venue details. The cost of the 6 week course including weekly printed handouts and a certificate and rosette for completion of the course is £70. 1. Complete booking form below. 2. We will email you payment details. 3. A confirmation email along with important information you'll need to prepare you for your course will be sent usually within 24 hours only when both payment and form received. 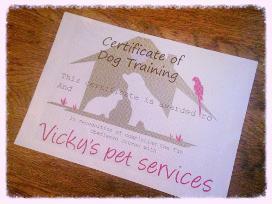 Has your dog received any prior training? If so, what training & where was this undertaken? What are you hoping to achieve from our classes? Please note: Aggressive dogs, or dogs with severe antisocial behaviour problems (e.g excessive barking in the company of other dogs or people) may not be suitable for training classes. Please speak to us first if you are concerned your dog may suffer from the above.